To reserve your space at Drinktech Indonesia 2019 please complete the form below and a member of the team will contact you shortly. Allows you the flexibility to build your own stand. Including floorspace rental, stand construction, carpet, fascia, fluorescent lighting, stand carpet cleaning. 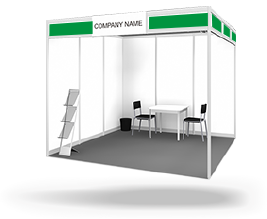 The package offers exhibitors a choice of display aids from which they can choose the most suitable items for displaying their products and services. Please send me a show brochure. I am interested in Sponsorship Opportunities. Please send me more information. I would like to subscribe to your e-newsletter mailing list.